Brian Mullis, the founder of Sustainable Travel International (STI) and a proud father of two children from the Gambela Region of Ethiopia, in this interview reflects on over 13 years dedicated to promoting sustainability across the tourism value chain. His (career) advice to newcomers to sustainable tourism. Brian, when did you discover your passion for sustainable tourism? I began my career working in national parks in the United States – first as a dish washer in Yellowstone, and later as a line cook and a part-time guide. There, I learned that tourism can drive the protection of our natural heritage. Later, I owned and operated an international adventure and eco-travel company for eight years. While we made a concerted effort to adhere to the tenets of ecotourism, I realized I could potentially have a much greater impact in mainstreaming sustainability through another means. Why did you found Sustainable Travel International back in 2002? 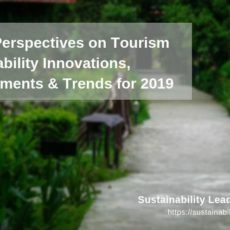 I incorporated Sustainable Travel International in September of 2002 to create simple tools that could be replicated, contextualized and scaled up across tourism businesses and destinations. Which initiative or project by STI are you particularly proud of? I’ve had the honor of working with His Holiness the 14th Dalai Lama on a project in Dharamshala, India, aimed at minimizing the negative impact of tourism. I’ve also advised the Obama Administration through two terms on the US Travel & Tourism Advisory Board. Although these were career highlights, I’m most proud of the organization that Sustainable Travel International has become. From its humble beginnings as a grassroots NGO started on a shoestring budget, it has grown into one of the world’s leading organizations focused on improving lives and protecting places through travel and tourism. Over the last 13 years, we have helped more than 100 destinations and hundreds of corporations protect the natural and cultural assets our industry depends upon. In doing so, we’ve enhanced the experience of millions of visitors and increased the livelihoods of millions of people living in travel and tourism destinations globally. On April 14, we announced our 10 Million Better campaign designed to bring together like-minded travel and tourism leaders — destinations and companies that are also determined to contribute to the greater good and the long-term well-being of people and places most impacted by our need and desire for new experiences, meeting new people and going new places. Over the next 10 years, we are committed to improving the lives of at least 10 million people in travel and tourism destinations around the world. How has your view of sustainable tourism changed since you started STI? While my view hasn’t changed much, the way I talk about sustainable tourism has changed a lot. We have to demystify sustainable tourism and communicate more simply. We need to lose the acronyms and work collaboratively as an industry. We need to move away from using jargon and focus on more good tourism. We also need to raise awareness of the link between travel and tourism, and the industry’s and every traveler’s ability to improve livelihoods, conserve biodiversity, and protect culture and heritage. In order to do so, we will need to transparently quantify the benefits and impacts of healthy travel and tourism. Do you think travel and tourism are on a good path to become a force for global good, rather than causing destruction of environments and communities? I do. That said the rise of sustainable tourism has largely happened in silos, leaving many destinations and other key players out. Lots of initiatives exist, but there is a lack of common vision which is slowing our progress. Meanwhile, the consumption patterns of travel and tourism as a whole— food, land, energy, water etc. use — are on an unsustainable path. The sheer size and economic clout of the industry as the world’s greatest economic driver could put it on a net-positive footing, but the whole sector has to come together to accomplish it. I believe that’s now possible. By committing to making the lives of at least 10 million people better and inviting businesses and individuals throughout the industry to support this collective goal, or set their own goals, together the industry can become more responsible and accountable. Fortunately, there is a new readiness and urgency to act together. For the first time, the tourism sector has a UN Mandate to act and shift towards more sustainable production and consumption patterns (i.e., 10YFP). With the announcement of the 10 Million Better campaign, the industry is coming together and focusing its enormous economic power on a clear vision with solid goals and metrics for improving lives. Industry leaders — like Carlson, Delaware North, Intrepid Travel, and Soneva Group — are all committed to supporting 10 Million Better, and the Sustainable Travel Leadership Network and Sustainable Destination Leadership Network, which includes leading brands like Globus, Finnair, United Airlines, and Royal Caribbean, have endorsed the campaign. The public doesn’t associate travel and tourism with a means by which to affect social change. With an industry-wide cause, focused goals, impact monitoring and reporting, and broad support for the campaign, 1.1 billion annual international travellers could afford greater economic opportunities, social justice and the protection of natural and cultural resources for the 1 in 11 individuals whose livelihoods depend on tourism. What does successful sustainable tourism mean? We have to achieve sustained impact through the implementation of evidence-based programs and policies that have lasting influence on promoting sustainable production and consumption. Many of the world’s most popular travel destinations are threatened by interrelated problems including climate change, overcrowding and unsustainable development. Rather than address these challenges in isolation, we must work across industries and geographies on comprehensive and holistic solutions that lead to long-term sustainability. Destination management is a shared responsibility: no single stakeholder group is solely responsible for generating impact or preserving the destination’s natural, cultural, and heritage assets. In order to rapidly scale up the positive impacts of tourism on communities while inspiring greater collaboration between destinations, we have to bring government leaders that represent the sectors linked to travel and tourism together with donors, and private sector, NGO, and community leaders to build local capacity to grow a strong vibrant tourism economy, safeguard natural and cultural heritage, improve local livelihood opportunities, and improve competitiveness. Public-Private Partnerships of this nature support the long-term health and viability of destinations resulting in improved policy and planning, tangible action projects, implementation of critical measurement and management tools, and compelling storytelling. We know that when well-managed, tourism has a significant positive impact on people and places. Yet very little data exists on how tourism benefits people and places, and no system has been developed and universally accepted to report on tourism’s social and environmental benefits. In order to make the case for destination and corporate sustainability initiatives, we need more proof points. Our industry needs a simple method that balances data relevance with technical feasibility and financial viability and that maps the social, economic and environmental benefits and impacts of tourism. Through 10 Million Better, we have a shared vision to develop a free open source and universally accepted sustainability dashboard and reporting system applicable to both destinations and corporations. This will not be a rating system, but will instead demonstrate the role tourism plays in the well-being of people and places. Your main insights “aha moments” as leader in the sustainable tourism field? There have been a lot of “aha moments” over the years. A few are always top of mind. The most successful and impactful nonprofits have a dual business model, incorporating donor development and flexible demand-driven programs. They have a flexible organizational structure that’s driven by a cause, shared values, and leadership that is focused on results and has a constant orientation to anticipate and embrace change and innovation. As part of this nimble progressive approach, I believe you have to learn how to transform change and vulnerabilities into opportunities, and take an inclusive approach to planning to convert these understandings into action, mobilize resources for solving problems, and demonstrate meaningful impact. 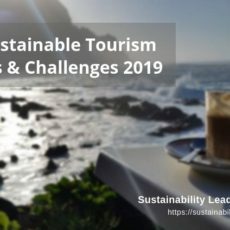 Which are the main challenges your public and private clients tackle on the sustainable tourism front? At the highest levels, both destinations and corporations need to take more of a long-term, holistic view and invest in solutions and innovative technologies today in their day-to-day operational actions that provide a greater return for future generations. Your favorite examples of destinations particularly successful in implementing sustainable tourism policies and practices? There are a lot of great examples around the world. Some of the more noteworthy include the Azores in Portugal, Sierra Gorda in Mexico, Chile’s Lake Llanquihue region, Mara Naboisho in Kenya, Mt Huangshan Scenic Area in China, Jasper in Canada, Oregon, and Norway. As developer and “tester” of the sustainable destination criteria for the GSTC, which areas do destinations struggle most with? Based on my experience, destinations struggle most with involving governmental departments (outside of the Ministry of Tourism), communities, and the private sector in tourism planning. There is also a need for monitoring of and reporting on sustainable tourism indicators, establishing sustainability standards, and building local capacity for implementing sustainable tourism projects and initiatives. 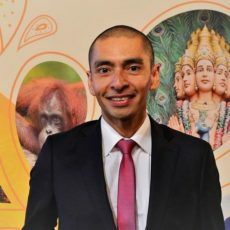 Your (career) advice to newcomers to sustainable tourism? There is a world of opportunity in sustainable tourism. Determine how you can support and/or complement existing initiatives. And focus on outcomes and impacts rather than outputs. Connect with Brian Mullis on LinkedIn. 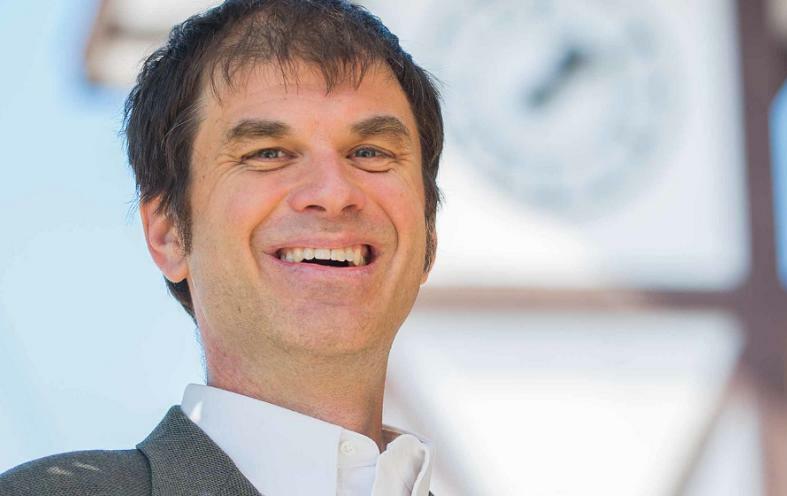 Enjoyed our interview with Brian Mullis, sustainable tourism consultant and founder of Sustainable Travel International? Share and spread the word!